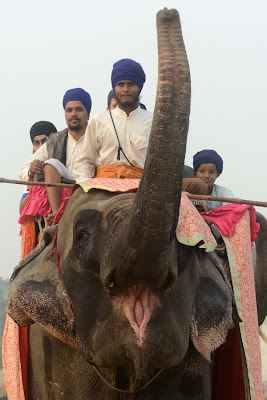 Fateh Divas, celebrated a day after Bandi Choor Diwas was marked with traditional fervour and valour as Nihang organizations from all over Punjab to celebrate the return of Guru Hargobind from Gwalior Fort. Draped in blue robes, white kacheras (underwear) and white kamarkassas (waist belt), young Sikh warriors left the audience spellbound as they stood straight over horses galloping at a speed of more than 60 kilometers per hour to showcase their martial art skills, also known as Shastra Vidya. Nihang organizations including Baba Budha Dal, Baba Makhan Singh, and Baba Nihal Singh Harian Welan among others participated in the celebrations. SGPC appointed Chief of Baba Budha Dal Baba, Balbir Singh said they had been keeping the tradition of Sikh martial art alive, which in olden days was used for self defense and attacking the enemy with the subtle movements of hands and body using various traditional weapons like spears and chakr. 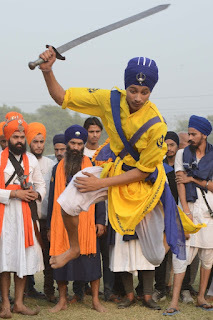 Nihang groups visits various villages to motivate youth to learn Gatka - a battle-tested ancient martial art and other Sikh war games for self-defense. While praising budding Sikh youth honing their Gatka skills, former jathedar of Akal Takht Giani Joginder Singh Vedanti said, "Every Sikh youth should learn Gatka, which is a traditional, spiritual and physical martial art." 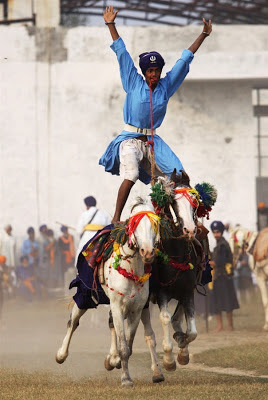 A Nihang whose ancestors belonged to Sikh warrior clan, stands on top of two running horses as he shows his riding skills during Mohalla in Amritsar. 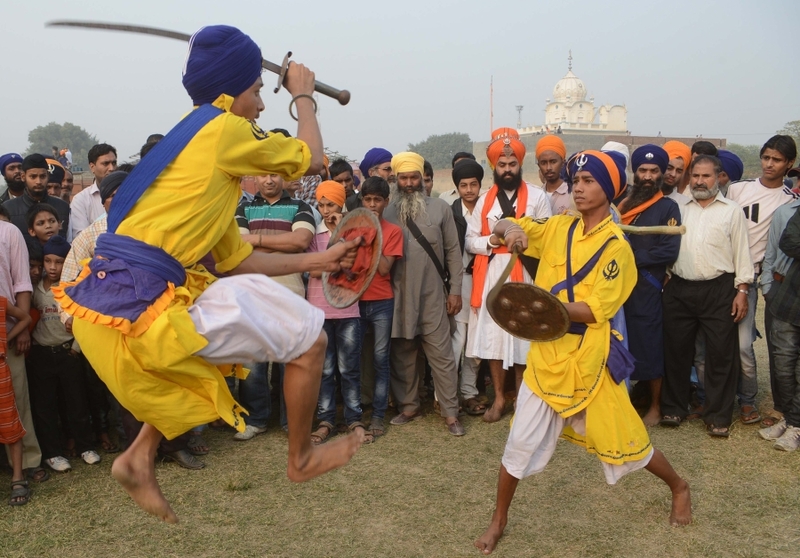 Members of the traditional Sikh religious warriors' Nihang Army perform the Sikh martial arts during 'Fateh Divas' in Amritsar. A rider showing his horsemanship with two horses. 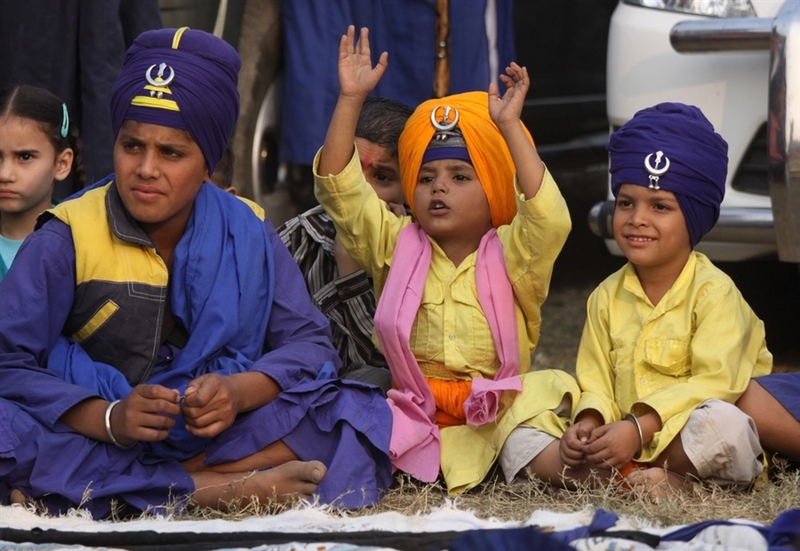 Children dressed in religious attire react as they watch the Sikh martial arts being displayed. The Sikhs also came on Elephants to show the martial tradition of the Khalsa. Information taken from Times of India. Edited by Sikh Nugget. 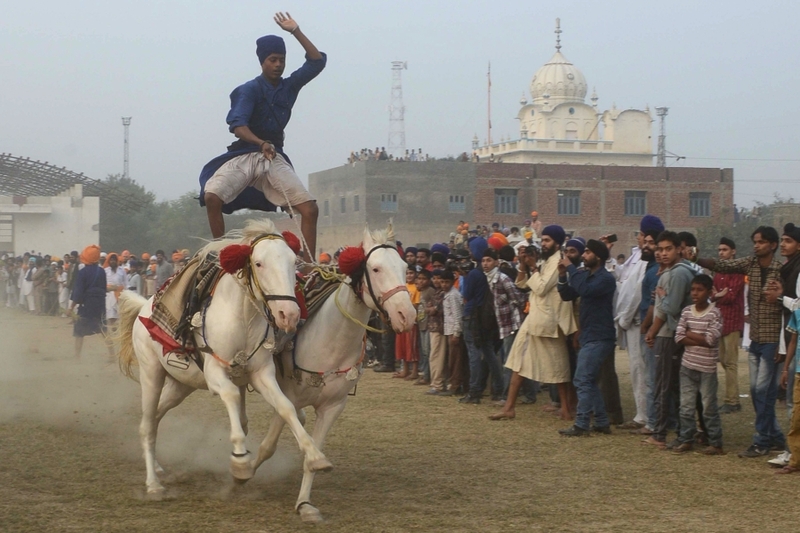 Photos courtesy of Raminder Pal Singh / EPA.